With Hurricane Hector potentially impacting the Hawaiian Islands and the continuance of unfavorable wind conditions, the Polynesian Voyaging Society has decided to postpone the departure of Hikianalia until next week at the earliest. The sister canoe to Hōkūleʻa planned the 30-day, 2,500-mile Alahula Kai o Maleka voyage to coincide with the Global Climate Action Summit in San Francisco in September. 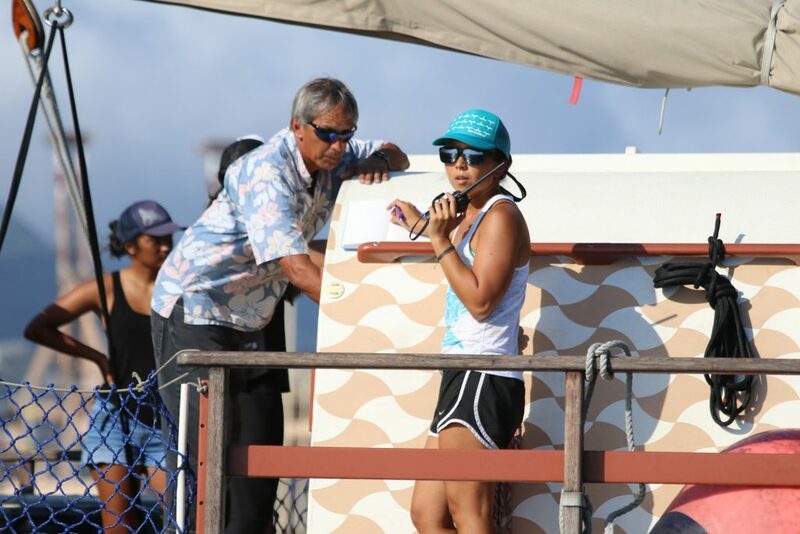 “We are concerned about our crew on the canoe as well as their families being left behind, so we are holding off the launch of this voyage until the risk of this hurricane and any other weather issues have passed,” said Nainoa Thompson, president, Polynesian Voyaging Society. “We want to make sure that both the canoe and our homes in Hawaiʻi are safe, and we want to allow our crew to be here to make sure their families are okay,” he added. PVS will continue to work closely with the National Weather Service to monitor the weather to determine the safest time for the crew to set sail. Hikianalia was originally scheduled to depart Sand Island on Monday, July 30, 2018. After an approximately 30-day sail across the Pacific Ocean, the canoe is expected to arrive in Northern California in early September, weather permitting. A welcome ceremony and celebration is scheduled at Aquatic Park in San Francisco for Sept. 8, 2018. After engagements in San Francisco, Hikianalia will sail down the coast of California to San Diego and connect with communities along the way. The canoe is expected to return to Hawaiʻi in December 2018.